I am a yoga therapist and have my own health and wellness business with Arbonne. My intention in life is to provide the tools for people to be healthy in their body, mind, and spirit. In both my businesses, I work to help people feel better in their bodies, experience pain-free movement, and make choices that benefit their overall quality of life. 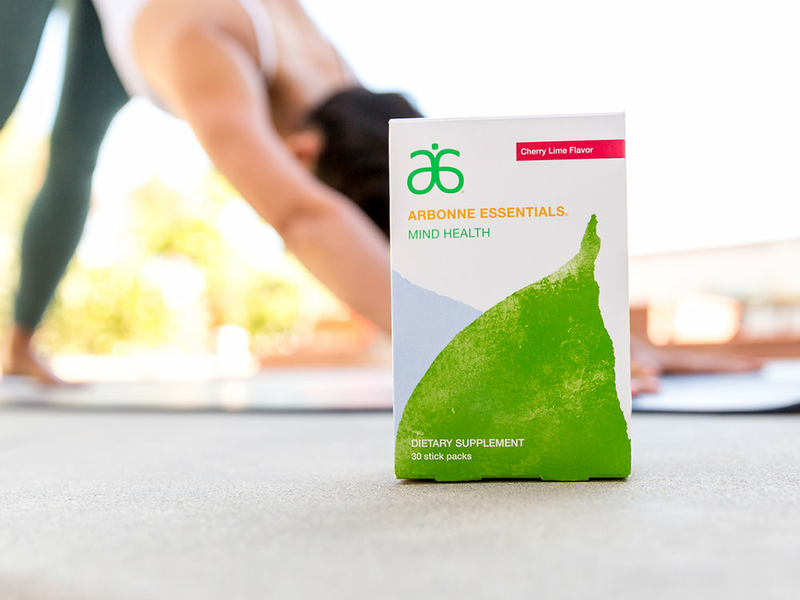 As an independent consultant of Arbonne products, I combine my love of sustainable beauty and nutrition with yoga. Mom always said to eat your veggies. Greens Balance makes this easy with its spectrum of proprietary color blends of whole fruit and vegetable powders — delivering antioxidants, phytonutrients and fiber you need to have a more balanced, healthier diet every day. Mom would be so happy. The best decision I ever made regarding my health was to do the 30 Day program. Seriously. Key Ingredients: Arbonne proprietary fruit and vegetable blends of greens, reds, blues and yellows. Tummy time. Every day add a single-serving stick pack of mild powder to any cold or room-temperature liquid. Prebiotics, probiotics and enzymes help support optimal digestive health. This is a must for anyone wanting better health! What a kickstarter! As a replacement for your morning coffee or for when you start to feel the afternoon sleepies, stir in a fizz stick to create a refreshing bubbly drink when you start to feel tired to temporarily help promote alertness. I get the energy pick-me-up without the bad coffee breath or stained teeth. Multitask to the max. Sunflower seed derived phosphatidylserine, a key building block for brain cells, and vitamin B12 support neurological performance like concentration and focus. It's a no brainer! Wipe away the day! 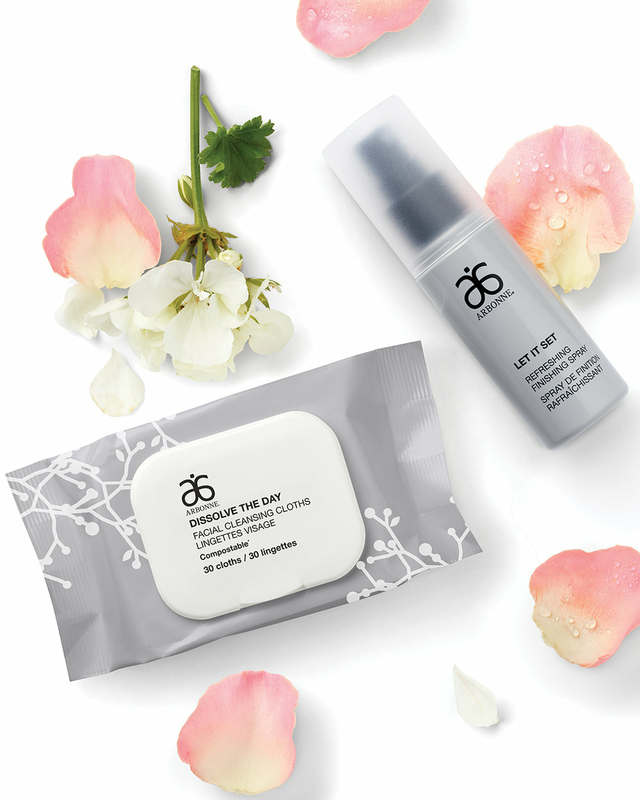 Remove makeup, sweat, and pollution with our eco-friendly and compostable facial cleansing cloths. These no-rinse cloths are perfect for all skin types (even sensitive!) and won’t dry or irritate skin. Infused with mild botanical essences, they will leave your skin cleansed, soothed, hydrated, and fresh with just one swipe. These thick and compostable cloths are also great for a quick armpit clean when transitioning from day to night and can't shower. Life is an epic tale – start telling it with your eyes. 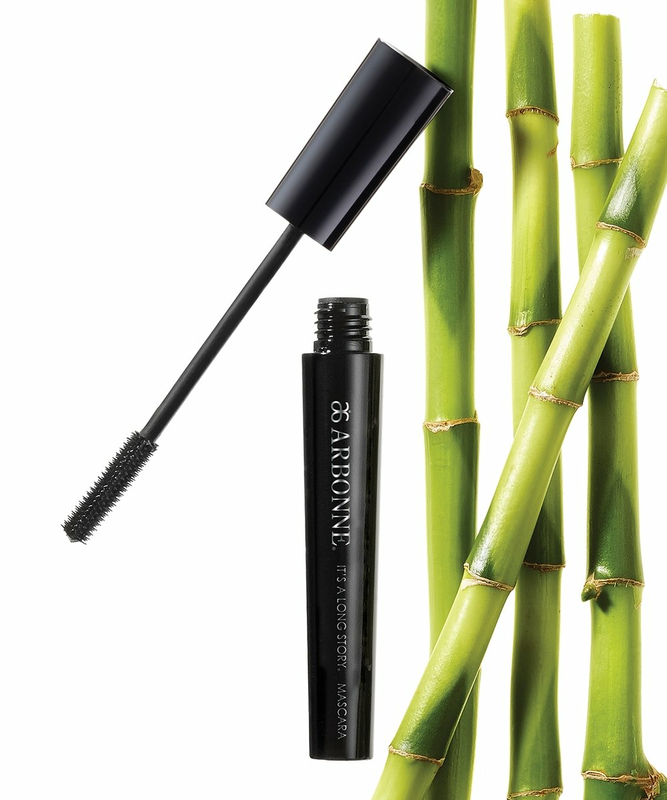 High-performance lengthening mascara helps create the look of ultra-dramatic lashes with major longitude. Clinically tested and formulated to be water-resistant and longwearing. My skin is so sensitive that most mascaras make my lashes fall out -- not this one! Now I can wear mascara and have eye lashes! Every artist needs to prep their canvas. This luxurious makeup primer glides on to visually diminish the appearance of fine lines and pores, creating a smooth surface. Like silk on your skin. And my makeup stays on after a full day of teaching yoga! Our 13-in-1 CC Cream contains mineral SPF and creates a breathable "second skin" to protect you from everyday pollution as small as PM 2.5 microns, which lingers in the air and can stick to the skin’s surface. Lightweight formula camouflages skin imperfections with medium coverage for a radiant finish. Contains Phytinol™ and argan oil to support the appearance of skin tone and smoothness. For twice the looks! Each duo features a matte lip cream with mineralized clay that delivers a velvety finish, and a lip gloss with botanical oils for a moisture-rich shine.